GROOMING TABLE - Trolleys on dog show. 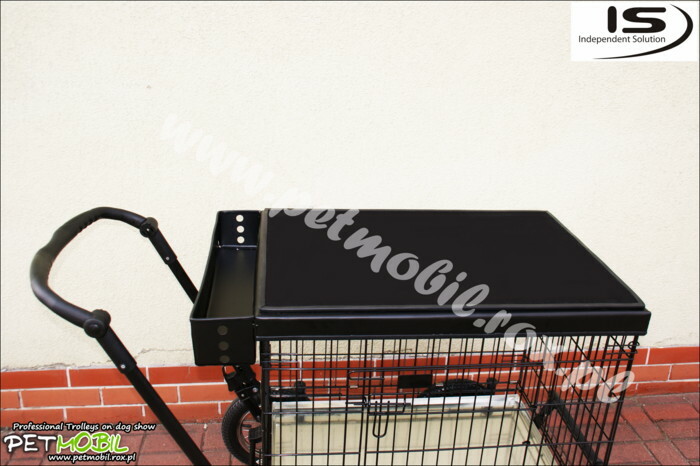 Top cage is made of thin galvanized sheet metal, lined by car carpet. Also has a basket for cosmetics for your dog. Perfect replacement our groomer table where the dog calmly prepare for the show. After use, for example dog powder up, just wipe with a damp cloth and after the trouble.